We've heard so much about the Apple iPad mini that it seems that the next-generation of the full-sized Apple iPad has been all forgotten about. But according to the infamous Taiwan based supply chain makers, production of the next 9.7 inch iPad will start in earnest beginning in July or August with Q3 shipments estimated to be 5 million units. The fifth-generation Apple iPad is expected to use a thin-film touch panel that will cut the weight of the unit by 20% to 30%. Reducing the bezel will give the screen more viewing real-estate and you can expect to see a modest change in the industrial design of the tablet. Thanks to the fifth-generation iPad, Apple is expected to ship 8 million units of its 9.7 inch tablets in the third quarter with a gain in the fourth quarter thanks to the holiday season. But it isn't all good news for Apple as the buzz around the water cooler suggests that the next iteration of the Apple iPad mini will be delayed with mass production dropped back from September to November. The reason for the delay might have something to do with Apple's marketing strategy. The Cupertino based tech titan feels that sales of its 9.7 inch tablet, which is more profitable than the iPad mini, were negatively affected last year by the 7.9 inch smaller version and does not want to see that repeated. As a result, Apple would like to give its larger sized tablet a chance to perform on its own at first, and has focused on the 9.7 inch iPad for 2013. Not everyone is convinced that this is the reason for the delay and some are blaming the inability of the supply-chain to deliver components on schedule as the reason for the delay in production of the iPad mini. iPad sales is declining. Samsung FTW. No donjunior is Wendy Garrett. Hate to tell you this, but all oem's are greedy. @abcdefgh Hate to tell you, but that's the purpose of being in business. Which iPad app do you use that make it better than Asus? 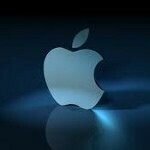 WWDC 2013 will surely launch new products and will regain Apple's sales. Bring on this beauty of a beast. Cannot wait to sell my iPad 3, and nab the latest. Better sell now if you intend to nab the latest. Even Apple is selling iPad 3 cheap as refurbish set in the Apple online store.